To start your shopping for baby shower gifts, it is best to see or check the list of items that the parents or the baby needs. The expectant mom or dad could be a close friend, which gives you the chance to know which items they still lack in the nursery or in the baby supplies. You may also ask them personally or ask the immediate family for suggestions and recommendations. For the baby first month gift or for gifts for baby showers, check the registry list first at the baby boutique shops or online shops. It will be easier for you to find and buy the right baby items when you check the registry first. Moms-to-be prefer to include their baby showers in the gift registry to avoid getting the same items from different guests, so make sure to ask the seller for an updated list before you pick what to buy for the baby shower event. 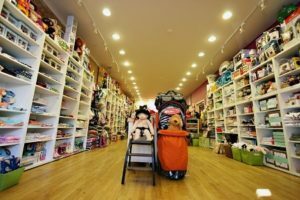 The internet and the department stores and shops can be your place to find and look for baby gifts. They have a wide selection of new items for the baby in the market. Whether you look online or you visit the stores, there are many baby gifts online and gifts for the parents to choose from. Some are in hampers and some are in baskets. Aside from diapers and baby clothes, the market also offers baby gears and furniture that are perfect for gifting. If you are invited to a friend’s baby shower, it is your best time to take advantage of the opportunity to have a part in caring for the new baby with Baby Hamper. With the right choice of gifts, you will be able to express and convey your warmest greetings to the new parents as they celebrate to the arrival of a new baby.